The Georgia General Assembly recently completed its 2015 session as legislators passed a variety of bills that damaged the freedom of citizens who they allegedly represent. Liberty watchdogs beat back three attempts by Georgia's Prosecuting Attorneys Council to legalize no-knock searches for the first time in Georgia history. They also defeated an "Incumbent Protection Act" that attempted to silence all issue advocacy groups in the months leading up to an election. 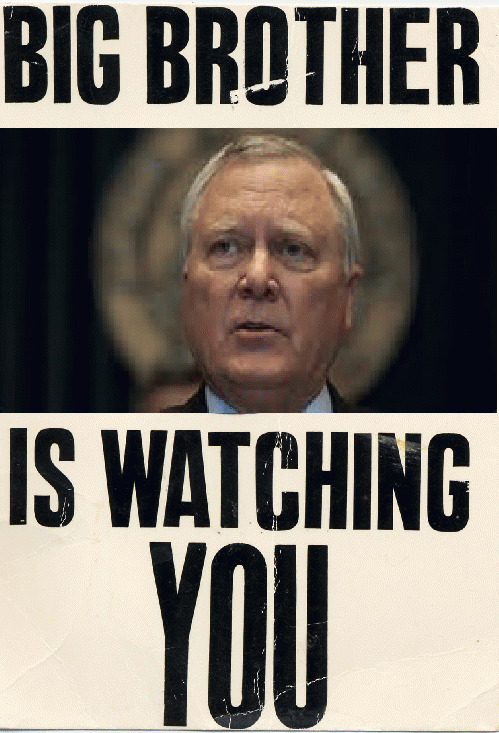 But perhaps one of the most remarkable bills was Governor's Nathan Deal's criminal justice reform bill, House Bill 310 . HB310 contains an unlimited expansion of state government that is unnecessary to achieve the criminal justice reforms that are in the bill. Page 6 of the bill provides for a new Department of Community Supervision with a newly appointed Commissioner. The Commissioner can hire an unlimited number of employees while creating hundreds, if not thousands, of new Community Supervision units throughout the state. Pages 7 & 16 also give the governor new separate police powers that can easily be politicized. Under the new law any governor could use his new police force to arrest political dissidents. He can then impose sanctions on them in a newly created pre-trial release program without the individuals ever being convicted of a crime. Gov. Deal pressured legislators to pass HB310 despite staunch public opposition. 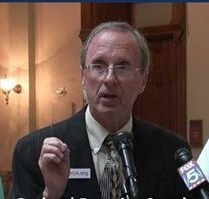 A Senate Public Safety Committee held a hotly debated two part hearing where bill sponsor Alan Powell told the committee that existing functions were being "unplugged" or "replugged" and there were no new police powers. Members of the public testified that he presented the bill untruthfully to the committee. No member of the general public testified in favor of the bill. HB310 passed the committee by voice vote with no fiscal note for new expenditures but only 2 of the 7 committee members voted for the bill on the Senate floor. The bill now awaits the governor's signature and could be signed even before this article is published. Civic group leaders held an April Fool's Day press conference at the Capitol and called for Gov. Deal to veto the bill. About 50 leaders carried letters into the governor's office. They pointed out that the bill and other legislation is diametrically opposed to the principles upon which Gov. Deal and most of the legislature were elected. Those principles are contained in a platform of less government, lower taxes and personal liberty. Gov. Deal has since advocated for numerous bills that oppose the principles he espoused while running for election. Gov. Deal vetoed his predecessor bill after last year's session. The Leaders hope that their continued opposition will help the governor realize that a massive new Department of Community Supervision is not the legacy he should leave Georgia.